With the Trudeau government poised to fulfill its pledge to legalize marijuana, questions are being raised about what this could mean for alcohol sales in Canada. Reports in recent months are predicting Canada’s beer market will take a hit when recreational marijuana becomes legally available. Is this a cause for concern for malt barley, a key ingredient in making beer? Peter Watts is the managing director of the Winnipeg-based Canadian Malting Barley Technical Centre, a non-profit organization set up to provide technical assistance to the malting barley and brewing industries. He’s among those in the malting barley business who don’t view legalized pot as a significant threat. “I believe it will have a minimal impact on malting barley production and demand for Canadian malting barley,” he says. While Watts feels it’s too early to tell what the long-term fallout of legalized cannabis on the beer industry might be, he thinks its impact on beer sales would have to be “pretty significant” to affect Canada’s malting barley industry. That’s because it relies so heavily on exports. Similarly, Watts doesn’t anticipate there being much effect on plant breeding efforts to produce better varieties and other R&D initiatives for the crop. “In most grain products, Canada is by far and away a net exporter and that’s true in the case of our malting barley, where the bulk of the production is sent to other countries, either in the form of bulk malting barley or in the form of processed malt,” he says. According to Watts, only about a sixth of malting barley grown in this country is used in Canada. Because of that, he says, a decline in domestic beer consumption would likely have a fairly limited impact on the nation’s malting barley production. Brent Johnson, a malt barley grower near Strasbourg, Sask. who’s also the vice-chair of Saskatchewan Barley Development Commission, agrees. Johnson says another key consideration is the majority of the malting barley grown in Canada isn’t actually used to produce the malt necessary for beer production — most of it is used as feed for beef cattle and other livestock. 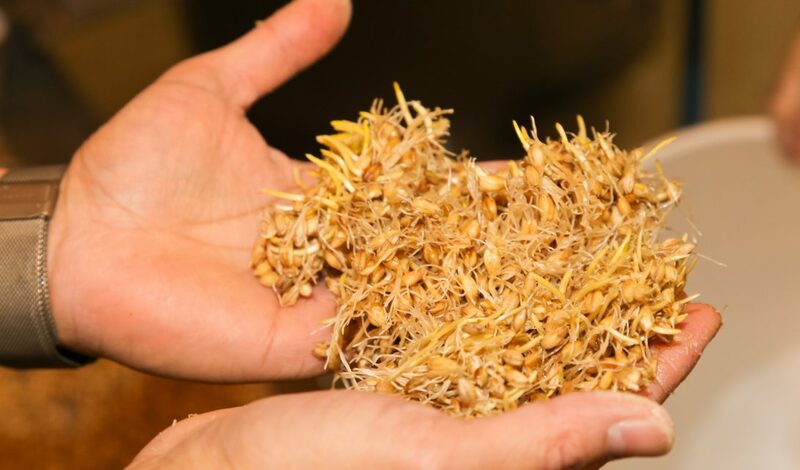 “Only a small portion of what we grow is accepted for malt,” says Johnson, who estimates this accounts for around 20 per cent of total malt barley production. 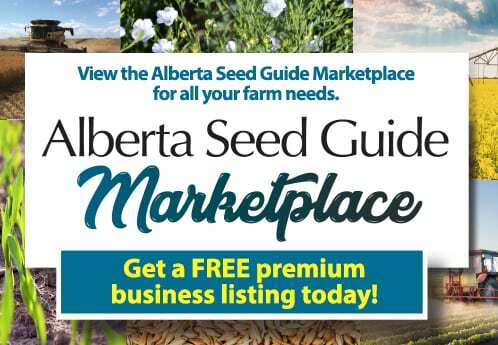 For these reasons, both Johnson and Watts believe legalized pot likely wouldn’t affect malting barley seed sales all that much, at least in the short term. Johnson believes if there was a reduction in malt uptake due to lower beer consumption in Canada, it could affect malting barley R&D down the road, although the impact likely wouldn’t be huge. Exactly how legalized pot would affect Canada’s beer market and demand for malt barley varieties, both initially and over the long term, has been the subject of much speculation. A study by Canadian business consulting firm Deloitte posits that the legalization of marijuana would cut into beer and other alcohol sales across Canada. According to Recreational Marijuana: Insights and Opportunities, about 80 per cent of current cannabis consumers rarely or never mix the drug with alcohol. The study also indicates marijuana users are also drawn to drug for the same reason people choose alcohol — to have fun or help connect with others. “Taken together, these two findings suggest a potential for some current beverage alcohol consumers to migrate away from that category and toward marijuana when it becomes legal,” the study states. Deloitte vice-chair Mark Whitmore, who co-authored the report, says 5,000 Canadians were interviewed for the study, which predicts up to 39 per cent of Canadian adults would be consuming cannabis (some regularly but others infrequently) when it becomes legal. The report’s findings were also based on data from U.S. states where recreational marijuana has been legalized. Peter Schwartz is a consultant with Anderson Economic Group, a business consulting firm in New York. He predicts that in the first year of legalization, recreational cannabis would drain $70 million from Canada’s beer market, worth about $9.2 billion. That’s only a small portion — less than one per cent of the total beer market — but that number would rise in subsequent years as marijuana use expands in Canada, according to Schwartz. “Because of the infancy of the cannabis products industry, it’s going to take some time to grow,” says Schwartz, adding that it would be up against a very well established beer industry as well as strong wine and spirits sectors in Canada. Over time, however, he expects sustained growth for the marijuana market and says it could happen quickly. Schwartz based his projections on alcohol sales in U.S. states where recreational marijuana is either fully or partially legalized. Factors in Canada such as spending patterns, income and demographic data were also taken into account.